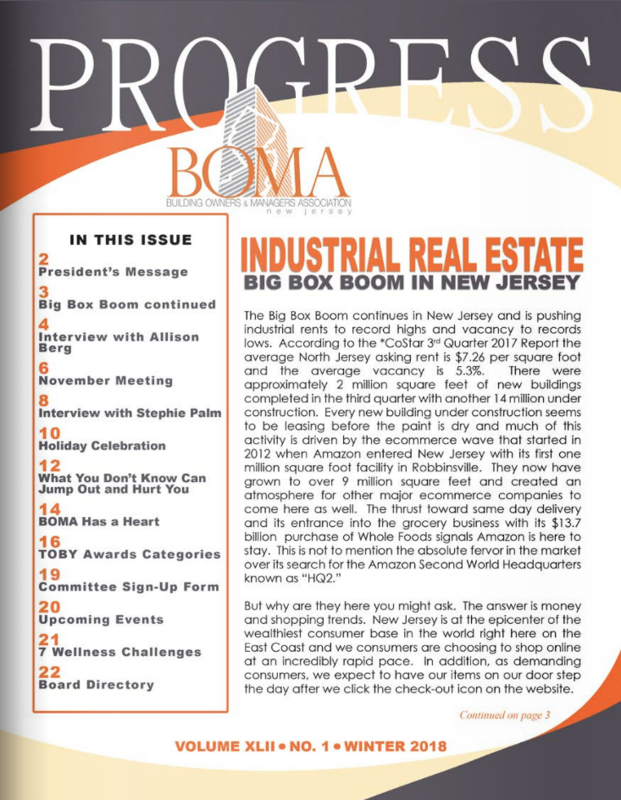 Every quarter BOMA NJ brings you PROGRESS, a newsletter designed to maintain awareness of what is going on in our organization, industry as well as upcoming events. 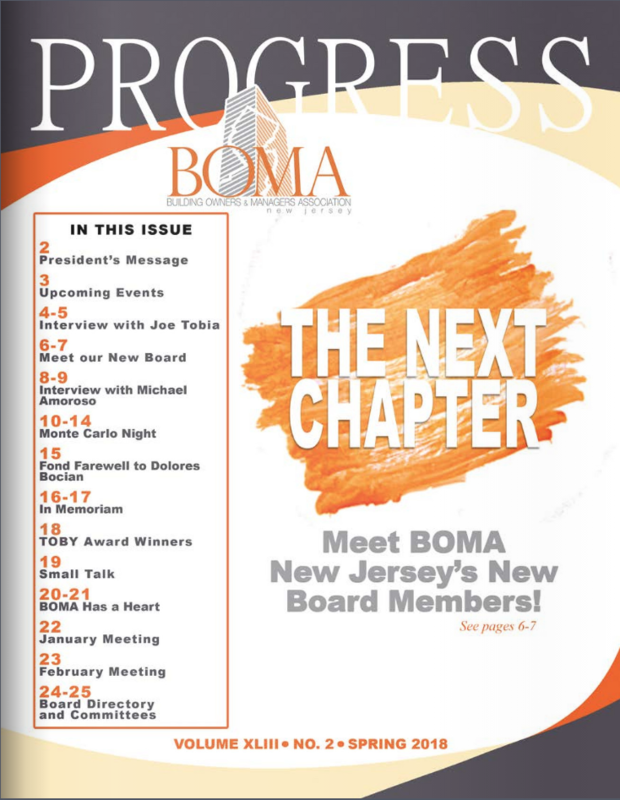 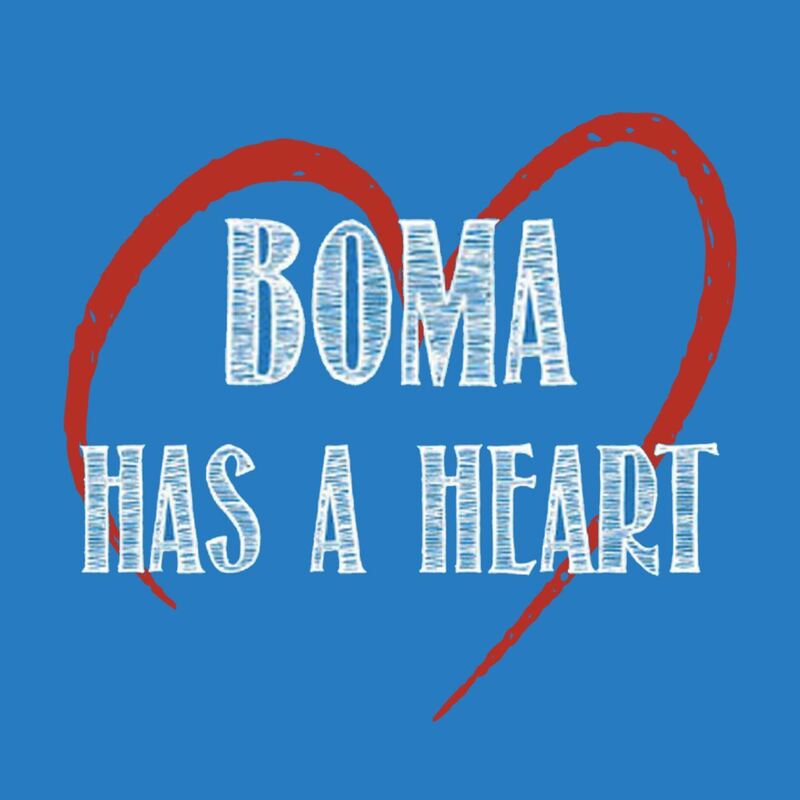 Our hope is to build your interest in becoming active in BOMA NJ and take advantage of what we have to offer to you. 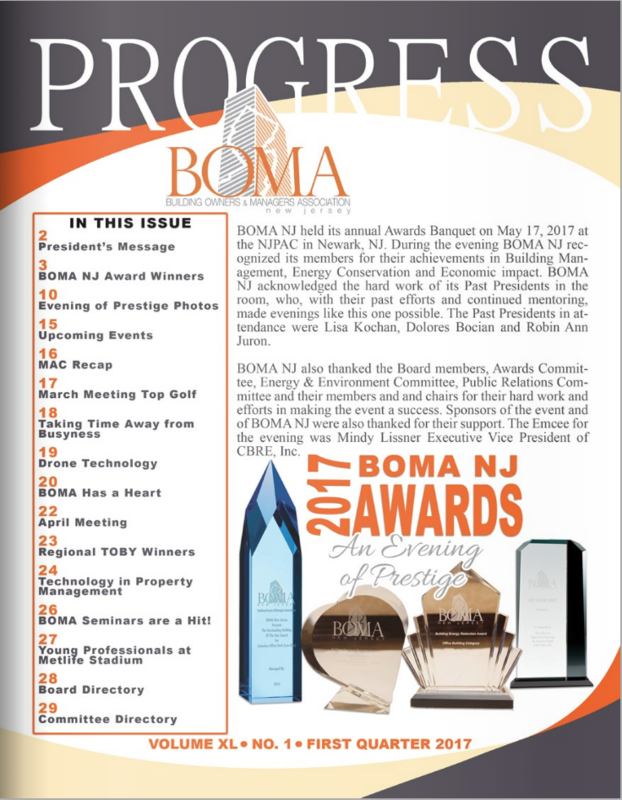 We want to hear from our members about all the great things you are doing within your companies and in the communities you serve. Share your events and pictures with us for a chance to be featured on our social media platforms and spotlighted in our quarterly newsletter!